A room for 1 to 3 people. a marvellous view of the Puy de Sancy. There is a separate shower room. A room for 2 people. The bedroom has a large bed (160 x 200 cm), two chairs and a small cupboard. You have a marvellous view of the Puy de Sancy. There ia a separate bathroom. 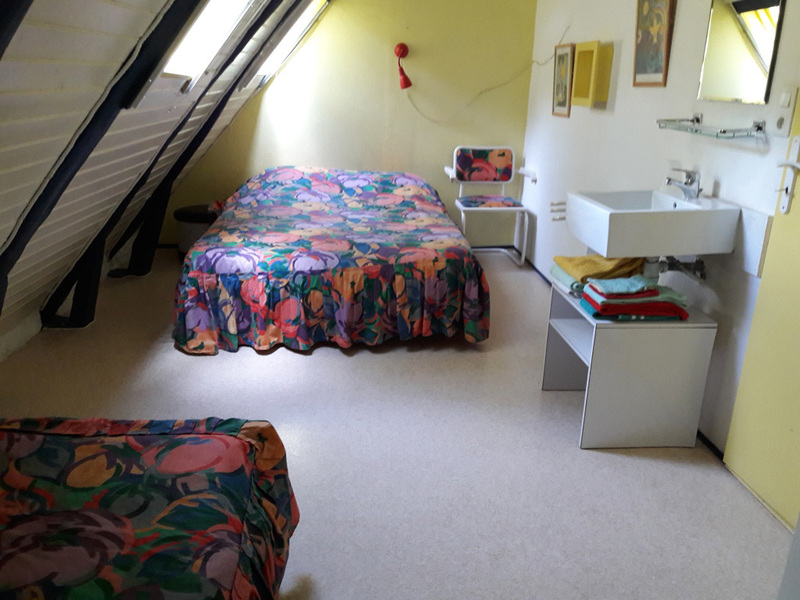 A room for 3 people, with a double bed (140 x 200 cm.) and a single bed (90 x 200 cm. ), two chairs and a wash basin. Shower and toilet are on the same floor. A room for 4 people with a double bed (140 x 200cm.) and two single beds (90 x 200cm. ), (a child’s bedstead eventually can be added) and a wash basin. 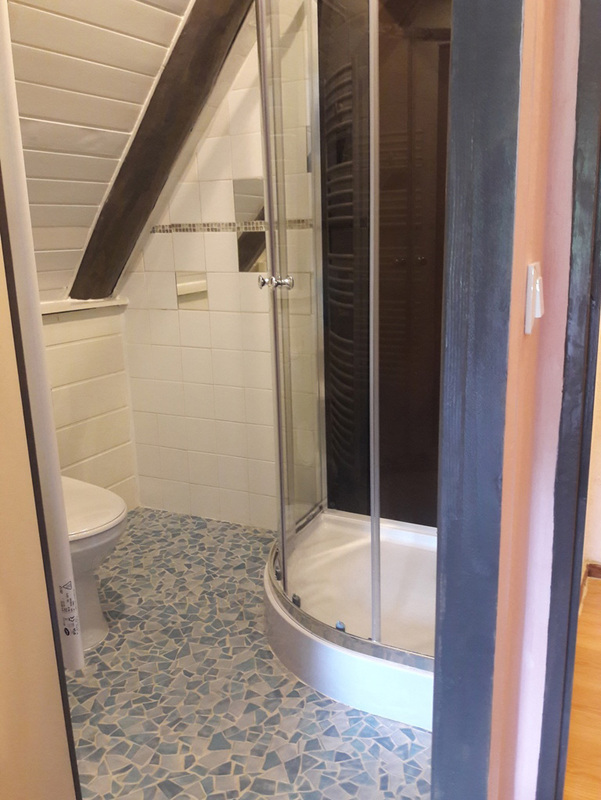 Shower and toilet are on the same floor. You rent those rooms with sheets and towels. You can choose to pay for your breakfast or make your own. Living room and kitchen you share with the other guests. The rooms Vue Sancy and Des Roses have bathrooms of their own, the other rooms share two showers and two toilets. BI Holiday Home "The Nostalgite". Holiday Home The Nostalgite is located in the old farmhouse. It has 3 floors. On the ground floor there is a living room with a wood burning stove and a television and a kitchen/dining room. It has a cooker, a microwave and all other equipment you might need. 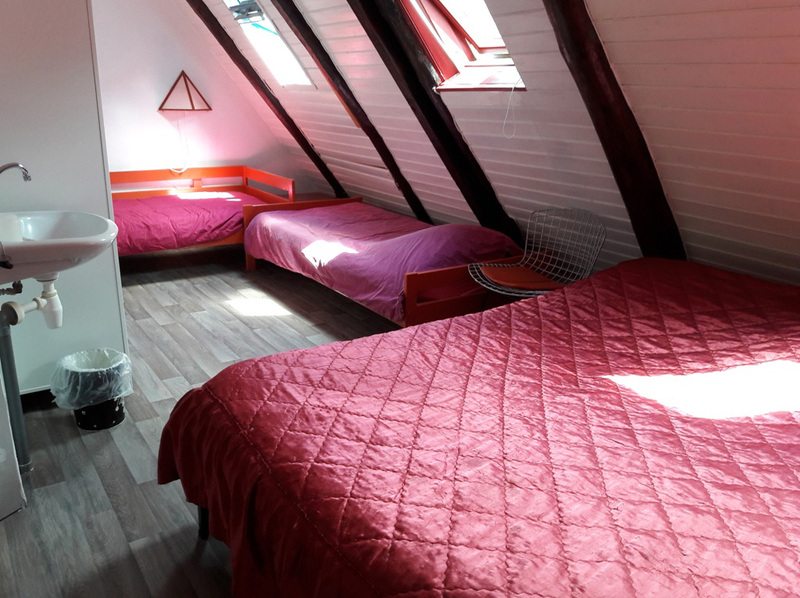 On the 1st floor you will find a room with two single beds (90 x 200 cm.) bathroom with a shower and separately a second toilet. On the 2nd floor there is a room with a large double bed (160 x 210) . BII Holiday Home "The Four Seasons". Holiday Home The Four Seasons is also located in the old farmhouse. It has 3 floors. On the ground floor there is a living room with a television and a kitchen/dining room. It has a cooker, a microwave and other equipment you might need. On the 1st floor you will find one room with two beds (90 x 200 cm and 80 x 185 cm), a bathroom. 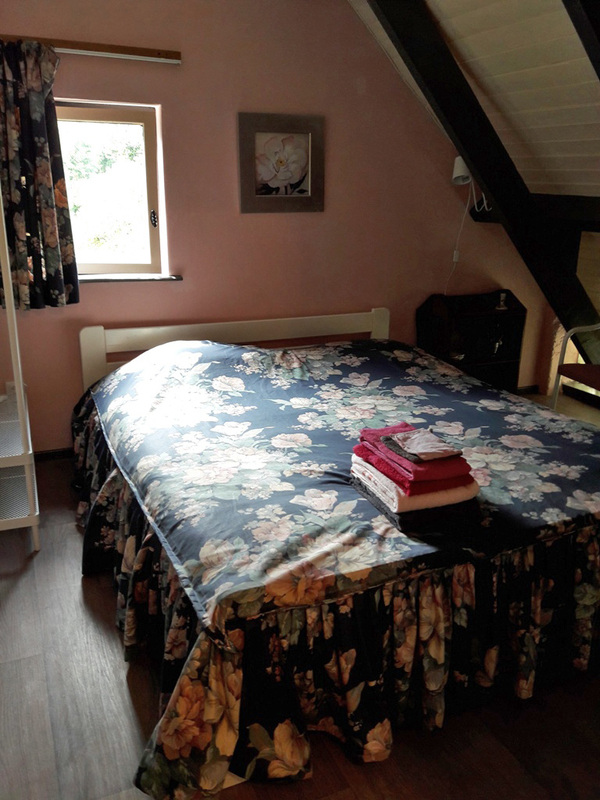 On the 2nd floor there is a large room with a double bed (140 x 200) and a child's bedstead. The staircase is a special design for narrow passages. This accommodation consists in all the four guestrooms together (see A) in combination with kitchen and dining room of the multipurpose room with television. In this way the composition of rooms has created an apartment for 12 people and is suitable to self-service. If you need a lot of space for you activities you can rent all accommondations at the same time. The capacity of the Holiday Homes L'Ensemble, The Nostalgite and The Four Seasons is 20 people altogether. When you add some matrasses you can be even 24! In the living room you can give courses and seminars of all kinds. Depending on the kind of activity you can invite 16 to 20 participants.